Botswana is globally renowned as an African wildlife safari destination par excellence, offering true wilderness and arguably some of the finest landscapes and wildlife viewing. As if this wasn’t enough, aside from its pristine wilderness and huge variety of iconic African birds and wildlife, the country is also one of the safest and most stable nations in Africa, if not the entire planet! 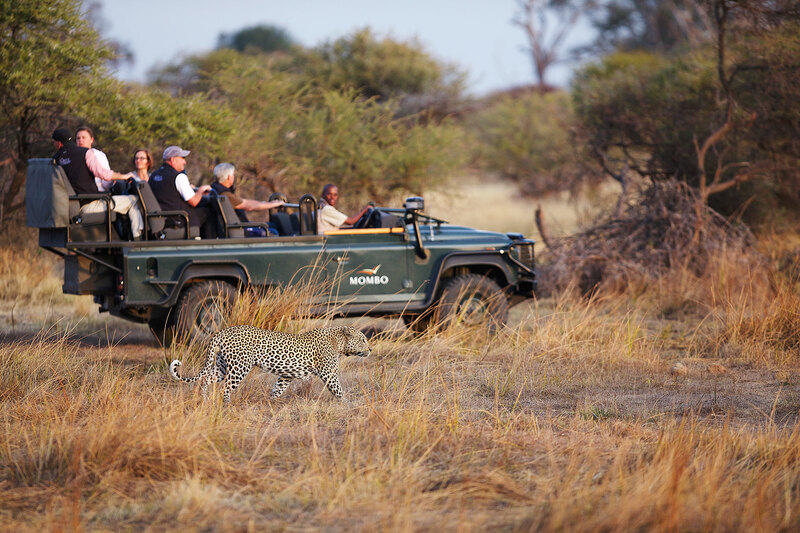 Furthermore, all our wildlife tours to the region visit Botswana’s most famous National Parks, ranging from the lush vegetation and waterways of the Moremi Game Reserve in the Okavango Delta, to the game rich waterfront of the Chobe National Park, making this Botswana luxury safari an opportunity not to be missed! If a Luxury African Safari is what you are after, this surely is one of the most outstanding destinations available. Visiting the best known protected areas in this amazing land will expose you to some of the continent’s most exceptional mammals and birds, and promises to leave you with a bounty of unforgettable images. We look forward to journeying through the swamps and savannas of Botswana with you! ORYX – Bespoke Luxury Wildlife Safaris is proud to present a custom safari tailor-made to visit Northern Botswana’s most spectacular wilderness areas. 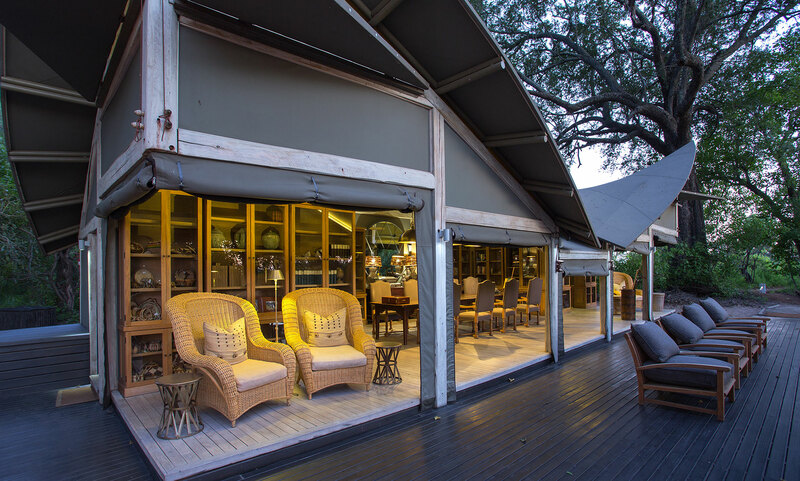 Marius Coetzee, C.E.O of ORYX has used his 15 years experience in leading wildlife safaris throughout Africa’s finest safari areas to cherry- pick only the most celebrated safari camps available. Furthermore these camps are located in vast private concessions far away from non-camp guests, offering some of Africa’s best wildlife viewing opportunities. We begin this adventure in the Linyanti, famed for its huge Elephant herds, African Wild Dogs and Lions, before continuing this trip of a lifetime in the paradisiacal Okavango Delta. Here the waters of the Okavango have created a wildlife Eden in the vast sandy “wastes” of the Kalahari – an area where huge game concentrations take advantage of the natural bounty created by the evaporating waters of the Okavango River. 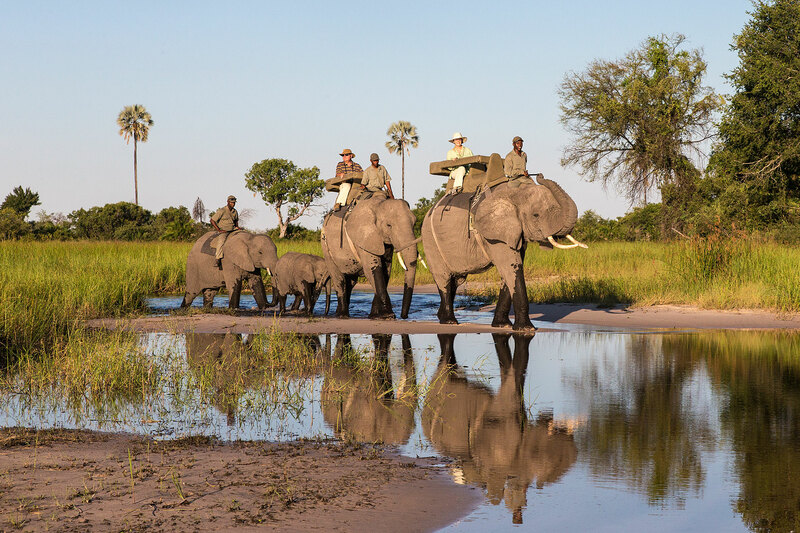 On our Botswana luxury safari, we visit two incredible camps in the Okavango Delta, where we will gain an appreciation of the wilderness, beauty and wildlife that has been immortalized by Emmy-award winning filmmakers, and dreamed of by wildlife enthusiasts the world over! 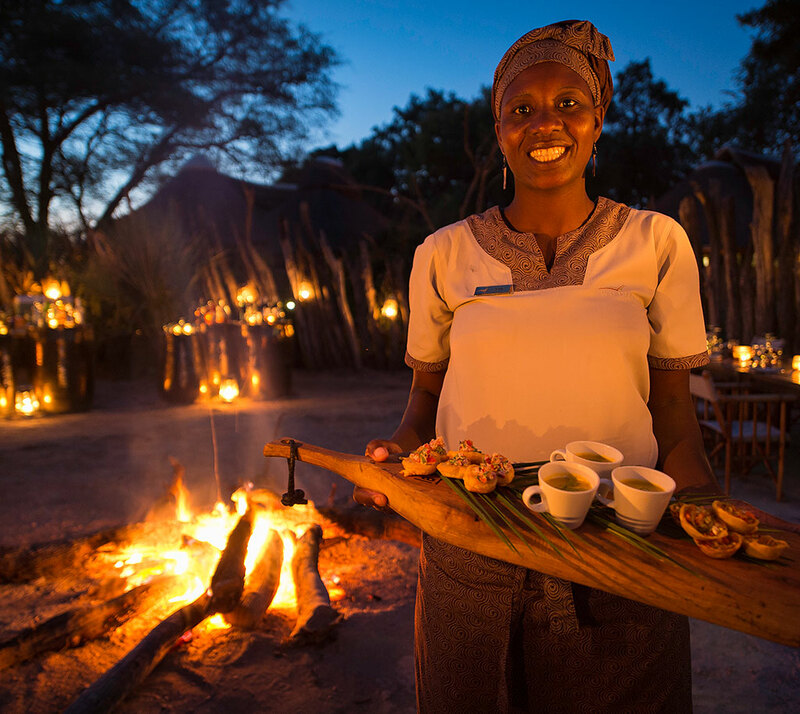 Join us on this ORYX Bespoke adventure that showcases the best of Botswana! Aerial wildlife viewing from helicopter over the Okavango Delta, “the green jewel in the desert” promises unique and evocative sightings. One the first day of our luxury Botswana safari, we will catch a charter flight from Maun, the “safari capital” of northern Botswana to Kings Pool. This camp is located in huge, remote Linyanti concession in northern Botswana, and tonight will be the first of three nights in this wildlife paradise. Named for Scandinavian royalty, Kings Pool overlooks the handsome oxbow-shaped Kings Pool Lagoon in the Linyanti Wildlife Reserve bordering the western boundary of Chobe National Park. The camp’s nine luxurious tents (including one family unit) are built to enjoy the views of the lagoon. The 125,000 hectare (308,000 acre) private Linyanti Concession is an enormous, wildlife-rich area, shared between just three small camps, which creates an unrivalled atmosphere of remoteness and peace. There are three main features of the Linyanti Concession: the Linyanti River, the woodlands of the interior and the well-known Savute Channel, which is famous as a sporadic and unusual watercourse. The channel stopped flowing between 1980 and 2008; during this time it was an open grassland, home to a wide variety of animals. In 2008, the Savute Channel began to flow once more, creating a water source that rapidly filled with various aquatic species including many waterbirds, Crocodiles and Hippos. With two-thirds of the Channel located in the concession, we have private and exclusive access to its abundant game on our luxury Botswana safari! These three features together with the floodplains, woodlands, grasslands, palm islands and scrub vegetation of the area harbour one of the densest dry season concentrations of elephant in Botswana – at times the Linyanti must have several thousand elephants roaming through the landscape! 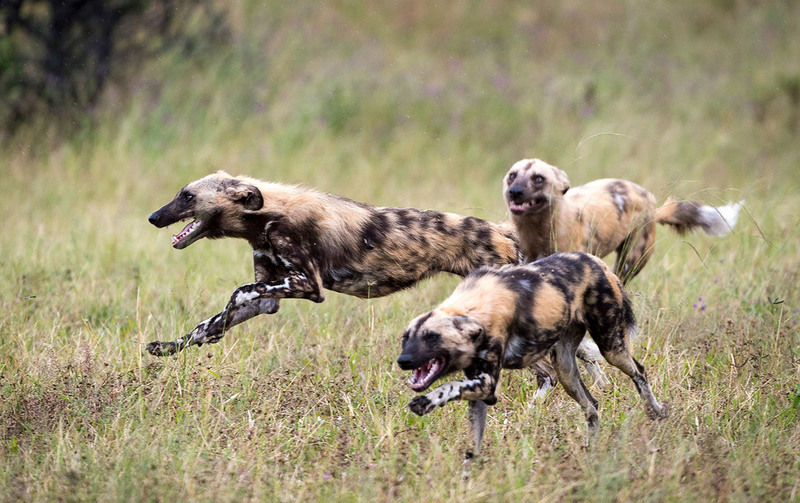 This phenomenon is one of the main attractions for travellers to northern Botswana, but the area is also important in holding good numbers of predators, providing an integral stronghold for species like the critically endangered African Wild Dog, as well as Lion, Cheetah and Spotted Hyaena. The rare Roan Antelope can provide an equal thrill however, as can the high concentration of birds of prey, the sizeable seasonal Plains Zebra congregations and the cathedral-like woodland of mature Mopane trees. Aside from Roan, other plains game on our luxury botswana safari include Red Lechwe, Blue Wildebeest, Impala, Common Waterbuck, Sable, Eland, Chacma Baboon, Vervet Monkey, Warthog, Hippo and Cape Buffalo. Nocturnal species that are often encountered include Lesser Bushbaby, Springhare, Aardwolf, Serval, Large-spotted Genet and with a healthy dose of luck, the highly elusive Pangolin! 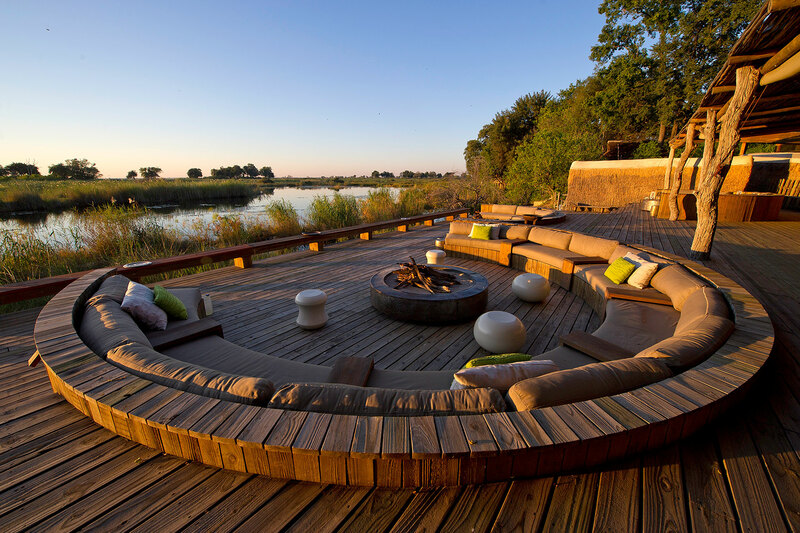 The Kings Pool camp also boast a sunken hide, which can provide for excellent game viewing at times on this luxury Botswana safari, including exceptionally close views of drinking Elephants! Leaving the Linyanti, today we fly south-west to the Okavango Delta, which is probably Botswana’s single most famous game area. Here the waters of the Okavango River spill onto the parched sands of the Kalahari, forming one of the largest inland deltas on earth. Large portions of the 15,000 square kilometre Okavango Delta have been protected for decades, meaning that game numbers are typically excellent. We will be spending the following three nights at Abu Camp, which has as a drawcard a remarkable herd of habituated elephants, not to mention stylish accommodations and excellent game! Abu Camp is located on the western side of the Okavango Delta, with the camp well positioned within an atmospheric riverine forest overlooking a lagoon. Elephants are some of the most enchanting animals on earth. It seems that expressions like “an elephant never forgets” are not just the delusional utterances of some malaria-crazed safari guide. They really do have astounding memories, and as scientists learn more about these amazing animals, from their ability to communicate over long distances using low-frequency calls, to their incredible social structure, we are able to better appreciate just what special creatures they are on this Botswana luxury safari. Abu Camp takes its name from a very special bull elephant Abu (now deceased), and our time here will be spent getting to know the herd while walking (both riding elephants and using our on feet!) through the Okavango’s wild game country on the immense 180,000 hectare (450,000 acre) private Abu Concession. Leaving the charming elephants of Abu Camp, we fly to the world-famous Chiefs Island (flight time roughly 15 minutes), in Botswana’s celebrated Moremi Game Reserve. This truly is a place where wildlife truly reigns supreme, and we have six full days to explore the area. It promises luxury accommodations in an area where our shutters will undoubtedly be working overtime! Mombo is Botswana’s most famous wildlife property, and boast some of the highest predator concentrations in Africa. The Mombo Concession is more familiar to those who dream of the Africa of wildlife documentaries with open grassland plains dotted with acacia trees and thickets. Ancient floodplains, long since dried up, form permanent savanna divided by swathes of dense mopane and acacia woodland. Raised, tree-covered islands ranging from a single termite mound to large landmasses are common. Trees such as real fan palms, sycamore figs, jackalberry and mangosteen characterise these island communities separated by open grassland and fragrant wild sage. Deep within Moremi Game Reserve lies Mombo Camp. This prestigious camp was ranked Number 1 on the Travel + Leisure 2013 World’s Best Awards list of Top 100 Hotels. Overlooking a floodplain on the northern side of Chief’s Island, this private area, which is only accessible by aeroplane, has built a reputation as a wildlife watching paradise. The fabulous Jeremy Iron’s narrated National Geographic documentary “Eye of the Leopard” has certainly bolstered Mombo’s reputation, however its fame is undoubtedly deserved. This untamed wilderness is home to huge concentrations of plains game such as Red Lechwe, Impala and Plains Zebra, and plays host to a number of Lion prides. This is a Big Five area, with the recent introduction of both Black and White Rhinoceros adding another feather in the cap of Mombo’s, and indeed Botswana’s reputation as a wildlife haven. An ORYX Bespoke safari is about enchanting all the senses and participating in the expedition, so that you come away a richer, more enlightened being, and with a stunning collection of African wildlife images to boot! Day 12: Mombo flight to Maun and depart. Today, after a truly spectacular Botswana luxury safari to some of the most sought-after wilderness areas in southern Africa, you fly back to Maun (Mombo – Maun flight is roughly 40 minutes) where your incredible safari with ORYX Bespoke sadly comes to an end!